If you’re looking for a job, your resume is a potential employer’s first introduction to you, the first piece of the hiring puzzle that needs to make a good impression. You want to grab their attention and have them read the whole thing, which can be tricky to do. While there’s plenty you can do to make sure your resume comes across in an attractive and concise manner, there are also certain things you shouldn’t do. Sure, you know to check for spelling errors and make sure you didn’t cut and paste with a different font, and we know you already know you shouldn’t use an AOL email address, but we rounded up just a few more things you should avoid. Miriam Salpeter is the owner and founder of Keppie Careers, a coaching and consulting firm that helps job seekers and entrepreneurs achieve their goals. 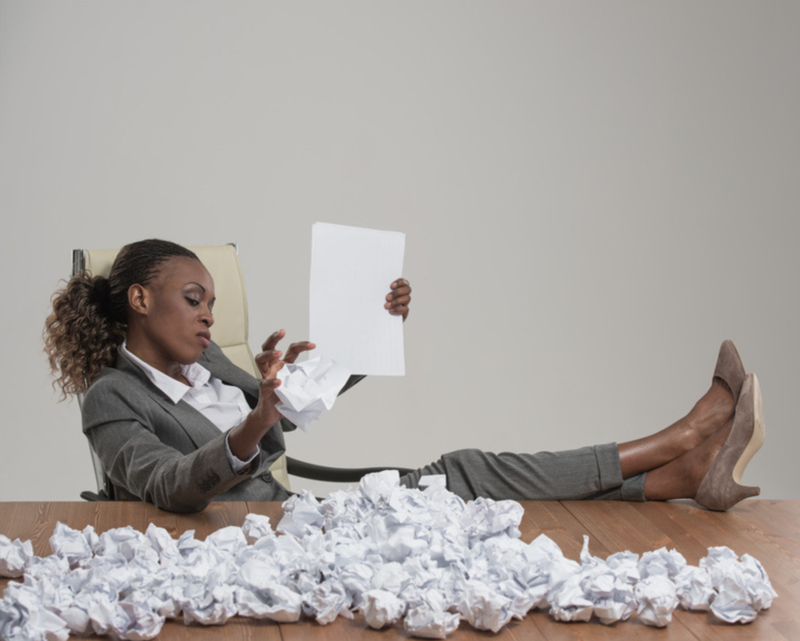 Here, Miriam shares her top 5 tips of what not to do on a resume. Do not embellish. Use official titles, not something you made up, and don't say you accomplished anything you did not. Don't generalize on a resume. Employers want to see know exactly what you did and assume you'll be able to do that for them, too. Specify skills and accomplishments on your resume. If you don't state your skills and outline your accomplishments, do not assume anyone reading your resume is going to fill in the blanks and give you credit for things you do not say. Most of the time, a computer (applicant tracking system) reviews your documents, and the ATS is not going to use its imagination. When you apply for jobs, use language the organization can understand and relate to. Do not use jargon that isn't relevant outside of a particular company. Be clear about what you can accomplish. This is a surprise, right? Your resume shouldn't be about you? No -- the resume should focus on the ways you are a good fit for the position. Do not spend time and valuable space emphasizing irrelevant skills or waxing eloquent about accomplishments that have nothing to do with the job of interest. Make your resume focus on the intersection between what the employer wants and what you offer. Ready to start submitting resumes? Start your job search today.